Fall is here and we couldn’t be more thrilled here at Remedi Spa. Along with the crisp, cool days and the radiant warm colors of the changing foliage, fall is also one of our favorite wedding seasons. If you’re looking for a way to prepare and pamper yourself and your bridal party for your big day, don’t waste precious wedding-planning time searching “spa Staten Island.” Rather, visit Remedi Spa, where we offer irresistible, indulgent wedding and bridal spa packages and treatments designed with you in mind. Here are five of our favorite spa treatments that we’re sure you and your bridal party will love. This spa treatment was designed especially for you, Bride. The Remedi Reunite combines all our favorite spa treatments into one relaxing, rejuvenating treatment perfect for the day before the wedding. We begin your special pampering session with a custom facial and an exotic lavender and coconut wrap, followed by an invigorating lime and ginger salt glow. Next, we’ll melt your wedding worries and stresses away with a soothing hot stone massage. Once you’re feeling completely relaxed, we move on to the beautifying portion of your treatment, which includes a custom mani-pedi and a light lunch. This is a spa favorite that will have you looking and feeling amazing for your big day. If you’re like the majority of women, you may have pesky cellulite somewhere on your body that you would rather do without. And if you’re a bride, you really want to smooth out those dimples before your wedding day and your honeymoon. Here at Remedi, we have just the trick for improving the appearance and texture of your skin without having to undergo cosmetic surgery. Our Cellutox Ocean Wrap cocoons you in warmth enhanced by rich marine algae and detoxifying juniper and lemon permeate your skin with skin-smoothing nutrients. This spa treatment includes a relaxing facial massage and de-stressing scalp treatment. Once you emerge from your cocoon, your skin will feel soft, smooth, and you’ll notice a reduction in the appearance of cellulite, just on time for your big day. While we love pampering the bride, we adore indulging the mother of the bride, the soon-to-be mother-in-law, the maid of honor, and the whole bridesmaids with a variety of spa treatments. Whether you want to treat each person in your bridal party to a short but sweet massage combined with a custom facial, manicure, pedicure, and/or sugar body scrub, we have the perfect package for you. Each bridal spa package includes a light lunch that you can all enjoy together to laugh, talk, share memories, and make new ones. Don’t all of these treatments sound lovely? We think so. 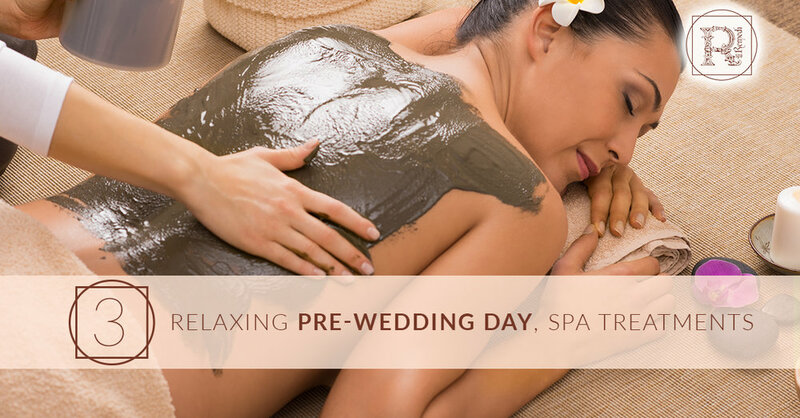 If you have a fall wedding on the horizon and you want to treat yourself and your bridal party to a relaxing, renewing day at the spa, there’s no need to search “spa Staten Island” when Remedi Spa has you covered. Visit our site to book your day at the spa online, or give us a call at (718) 605-7900 to schedule your spa package. We look forward to pampering you for your special day!